THE current enemies of our faith keep on insisting on loving one’s enemy. Yes, the very same ones who have declared war against the IGLESIA NI CRISTO through their accusations in their different social media accounts and by going on Youtube and national Television shouting allegations against our one and only legitimate Executive Minister, BROTHER EDUARDO V. MANALO, and his primary helpers in administering the church. Not only that, they even filed criminal charges against our beloved leader and other ministers of the CHURCH OF CHRIST. One needs not a doctorate degree to see that they are the first ones violating their own propaganda on not doing something bad against anyone even to one’s enemy. They are really showing the world what it means to be world class HYPOCRITES. We don’t dispute the biblical truth on loving one’s enemy or ‘turning the other cheek’ when your enemy slaps you on one. 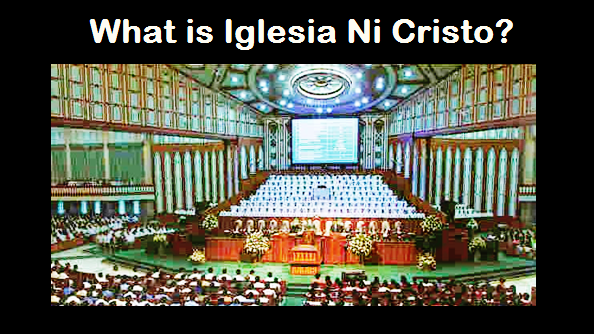 The IGLESIA NI CRISTO have been exemplars of this teaching of the Lord Jesus Christ. Through its intensive propagation of the gospel, members of the church are showing their fellowmen even those who persecute them their true love. For by sharing the true faith one is having mercy on others and saving them from fire on the Day of Judgement (Jud 1:23;Rev 21:8). Not only in spiritual terms do members of the CHURCH OF CHRIST follow this doctrine of the Bible. Through the Felix Y. Manalo Foundation and Lingap sa Mamamayan efforts of the IGLESIA NI CRISTO, something that our current enemies are lambasting, we extend our compassion and help even to the non-members of the CHURCH no longer caring if the millions of beneficiaries of such aid harbor ill-will against us. I could also confidently say that members of the IGLESIA NI CRISTO are fulfilling this teaching of God in their daily lives as they are usually commended by their neighbours, colleagues, and classmates to be model citizens. Indeed, Christ’s command to do good to the enemy is for them to be saved also. Does it apply to those who are confusing and upsetting our faith now? They were already in the Church (had the right to be saved) but they turned away and are now challenging the Church itself. True Christians are steadfast in their faith. They will fight for it and defend it with everything that they have. They will never allow anything and anyone to jeopardize their salvation. Those who create stumbling blocks in their obedience to the commandments of God better think twice because true christians (mga tunay na kapatid) wouldn’t hesitate to run over them, if necessary . They would care less about anyone’s feelings for what they care about most is what will God feel against them if they will cower down on their faith just because they wouldn’t want others to feel hurt. John the Baptist labeled the Pharisees as a "brood of Vipers” (Matthew 3:7). The Apostles explicitly called those who are against them as “insolent egotists, brute beasts, loudmouths, full of hot air and despicable (II Pet. 2:10-19 The Message). Our Lord Jesus Christ Himself did not sugar coat his words against those who go against His teachings, calling them “Foolish…Hypocrites” and even casting a curse upon them (Luke 11:40,44). Have you forgotten what our Lord Jesus Christ did when He saw that the Temple was being desecrated? Just like what our current enemies have been doing today with their non-sense rallies and vandalised offerings. To stand down against the enemies of the true faith seeking to destroy the CHURCH is not only unchristian but a sin against God. Defending the CHURCH OF CHRIST is defending God! We true ministers of the CHURCH OF CHRIST are guardians of the faith. 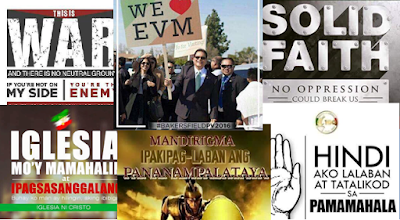 We will never back down and we will never keep silent against those who attack the CHURCH, the CHURCH ADMINISTRATION, and the doctrines that the Bible upholds with malicious lies, fabricated stories, and fallacies.